It is impossible to succeed in this highly competitive world, without a strong system of belief in oneself. This is not to suggest or recommend self worship but self respect and belief in one’s worth based on abilities and qualities. 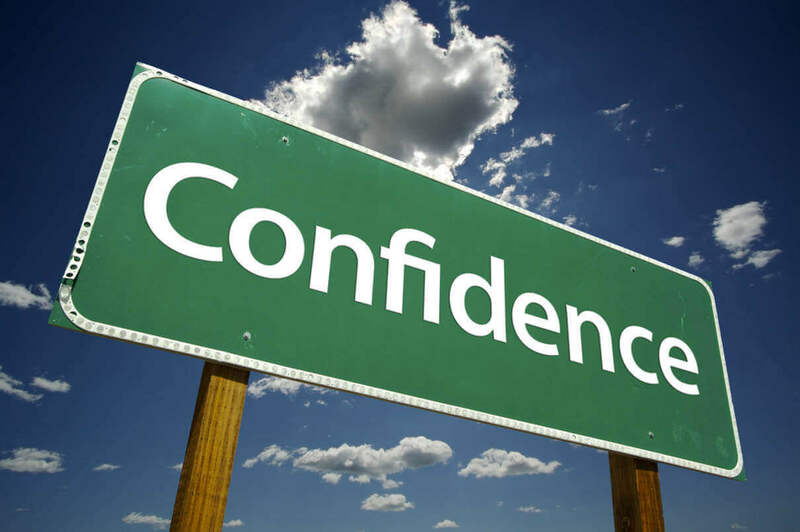 In any profession or even personal relationships, a confident person makes the most out of available opportunities. People find it easy to trust and follow a confident leader, be it Business, Politics or Religion. Think of your own role models, be it in the Armed Forces or Film Industry, you’ll notice their self confidence reflected in everything they say or do. But make no mistake, building self confidence is not an overnight achievement. It’s a process of changing thinking and habits. Always remember, what you’ve achieved, be it in professional or personal spheres. Recall the journey of efforts, overcoming obstacles, thinking up plans, taking initiatives and the sacrifices you have made. All of that has cemented your character into the person you are today. Be proud of your achievements. But think of them only as a launch pad, to the stars. Self understanding is important for building self confidence. The more you know yourself, the more you’ll discover what you are and where you can go from there. But this knowledge is not something philosophical but purely scientific. You must first chart a SWOT analysis for yourself to get started. After this exercise, you’ll have a clear understanding of where you stand and can better formulate goals for future. An important step towards building self confidence is accepting reality. You can’t control everything that happens. But you can choose how to look at things, what’s happened and how they are. Of course it’s difficult to think positive when everything is going against you. But isn’t that also not an opportunity, to learn from mistakes, to see where you went wrong. Failure is also an opportunity to get out of “feeling sorry for oneself” mode and start thinking non-traditional out of box ways to solve problems. May be the reason why you failed or are failing is not because you’re doing it wrong but you need to do it differently. Likewise, people who criticise should be treated as “Raw Data”. Treat this “Raw Data” with an open mind and separate “noise” (for e.g. personal attacks, name calling) from “useful information” (for e.g. better technology). Analyse how you can use it to your advantage. Never ignore your critics and thank them when their inputs have helped you grow. It is only natural to feel a little nervous or out of comfort zone, before a big day or a task. But this might affect your judgement and overall performance. So before you begin, remember you’ve prepared well. Then close your eyes, take a deep breath and to summon all your courage say “I can do this. I’m ready”. We are not suggesting that you start acting out like celebrities or politicians. Don’t be so nagging towards others or yourself to get everything not just right but “perfect”. Don’t be afraid to make mistakes. You’re only human and your self confidence cannot handle superhuman expectations. However, you should strive to look presentable, friendly, well dressed, polite, smiling and sitting in the front row as often as possible. Be nice to others but don’t forget yourself. Pamper yourself with good food and leisure, fun activities and company of like-minded people. All of this goes a long way in building and sustaining your self confidence. Struggling to get things done in a timely fashion, would leave no scope for building self confidence. Learn Time Management skills to get organized. You’ll feel confident when things are sorted out and on track to progress. Risks are also opportunities to gain big. Don’t be put off by a big risk simply because you’re afraid. Remember, if you pull it off, rewards will be immense. And it’s the best pill for building self confidence. However, this is not to suggest that you just dive right in without any second thoughts. That would be an overconfident act of lunacy which we don’t recommend. To overcome fear, simply prepare and plan. Understand the risks and how they can be mitigated. Create backup plans for better insurance and confidence. But never simply dismiss any opportunity to take initiative or to lead. Still, if you calculate you can’t take so much now, it’s okay to back away. Live today, fight tomorrow. Always keep learning and updating your skills and knowledge. Keep practising by applying your skills to improve whatever you do and how you communicate. When you grow as a person and a personality, your self confidence will build and guide you towards next level of excellence.